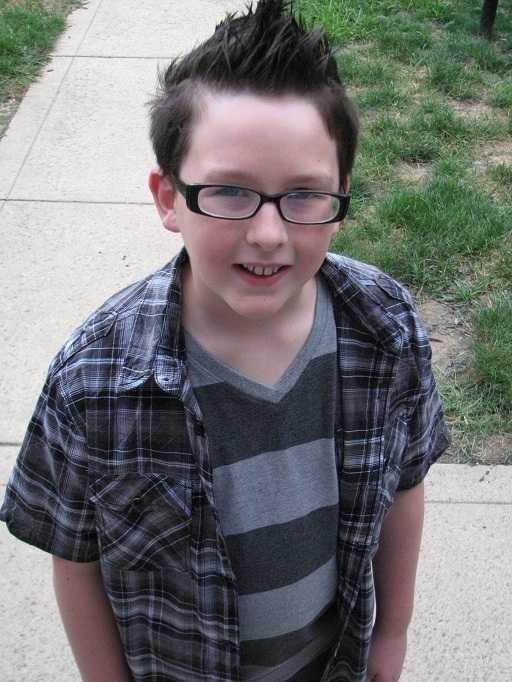 Today is Kidlet's first day of 6th grade. Middle School! How did that happen?! As he gets older rules for bento become more strict and I have to think outside the box for things like a first day lunch. No buses, no paper or pencils, no apples.....everything you would easily associate with back to school was out. I did however get the approval for A Very Potter Musical bento. Works for me! Kidlet has a soy ham sandwich with cheese letters, bell peppers, strawberries, and checkered apple. Have a fantastic first day Kidlet! I know Middle School will be full of new and exciting things and I can't wait to hear all about it! Lunch and Kidlet both look very cool. 6th grade already! So awesome that he's loving the bento through middle school. Yay! Wow, 6th grade! 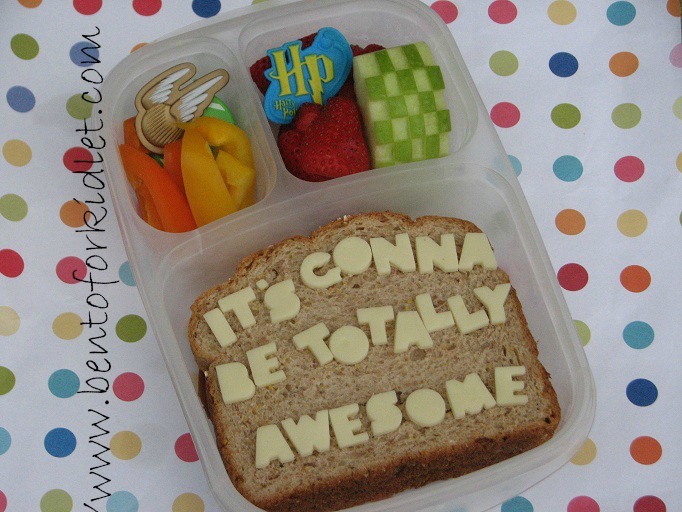 That's awesome :) The HP bento is very nice and looks perfect for a first day in middle school.